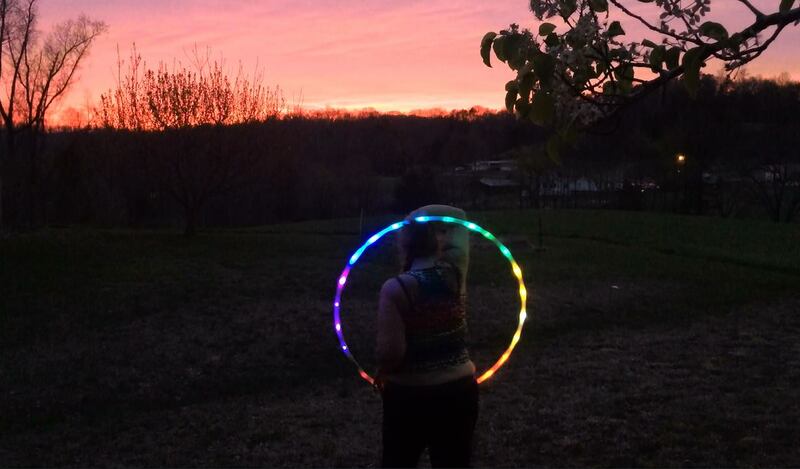 Here is your reference guide for how to get the longest possible life out of your Ruby Hooping LED Hula Hoop! Charge your battery fully before using the hoop. Make sure to put the battery on the charger correctly as indicated on the charger. Insert the battery with the positive side OUT. Use the 1st hole to keep the hoop off, the 2nd hole to turn the hoop on. Always remove your charger from the outlet when your batteries are fully charged. It can be harmful to the batteries to leave them plugged in after charging is complete. Never let your hoop get wet or expose it to damp conditions (rain, wet grass, etc). If you will be hooping in a possibly wet environment such as near the beach, wrap some packing or electrical tape around the connection point to keep water or sand/dirt from getting inside. Your warranty does not cover damage from water or grit. Never leave your hoop in direct sunlight or excessive heat for prolonged periods of time such as in a hot car on a summer day. ONLY use the charger given for your batteries and never use your hoop batteries in anything else but your hoop. Also, NEVER put any other kind of battery in your hoop than what has been provided to you! Doing so could permanently ruin your hoop. Your hoop batteries may look like AA batteries but they are NOT! Using them in something else could cause damage to your batteries and be hazardous as well. When traveling with your batteries, keep them separated so no ends are touching or touching the charger. Your new hoop is tough, but it’s still an electronic item that you are hooping with! It can handle being thrown around but try not to make a habit of it! Practice new hoop tricks with a day hoop and break this baby out when you’re feeling more confident with your new moves. Your warranty covers all electronic components for one year from date of purchase. 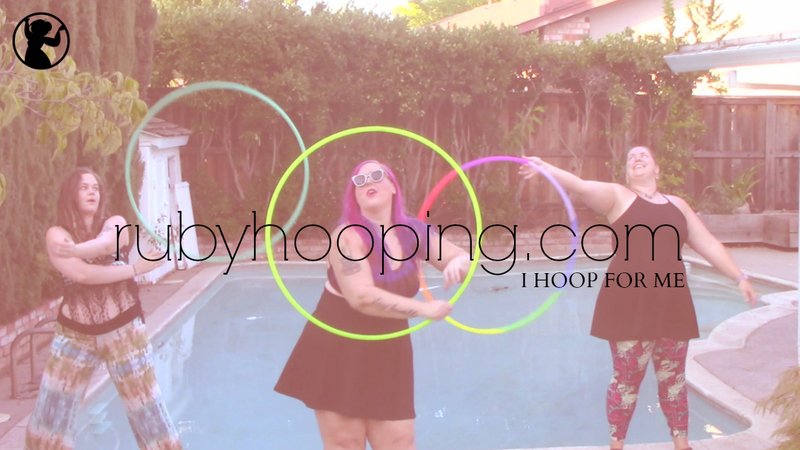 Contact us on Facebook or at rubyhooping@gmail.com if your hoop needs repaired. Even if you are outside of your warranty we may be able to help so don’t hesitate to ask! Above all, just remember to love your hoop and it will love you back! Your hoop is designed to last for many years as long as you take care of it! Happy Hooping! Hehe, love the child like magic of LED hoops! Enjoy!